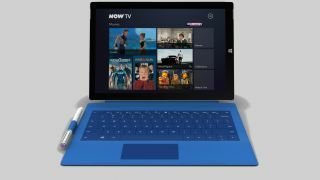 Sky has announced that its TV streaming service Now TV is now available on tablets and computers running Windows 8.1. Arriving just in time for the Christmas period, Now TV brings Windows 8.1 users a bumper lineup of shows and movies for those evenings when the weather outside is frightful. If it's shows like Game of Thrones and True Detective you're after, an Entertainment pass will cost you £6.99 a month, while a Sky Movies month pass will set you back £9.99. And if it's sports you're after, a week Sky Sports pass will cost you a bit more at £10.99 for seven days. While the app will not be available on Windows Phone 8.1 at launch, a spokesperson told us that Sky is "always looking at opportunities to make Now TV available on more devices." So there's hope yet.